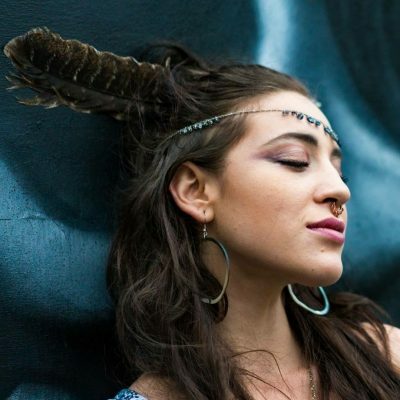 Local hip-hop and house artist Alyxandri Jupiter wants to transport her listeners to a new, dreamlike plane with her latest EP release, Out of Body Experience. Currently working with Audio Flow and Media Ink, Jupiter hopes to continue taking her listeners on a “space trip.” In this podcast, she discusses lucid dreaming, out-of-body experiences, and how she creates her own fantasy world with her music. Jupiter has worked with countless musicians and DJs, including BriskOner and has even produced a single with Shanghaii, to be released this May. “I am ecstatic to show you a glimpse into my mind with the Out of Body Experience EP,” says Jupiter. Be on the lookout for her in local venues, as well as national concerts and festivals. On this podcast, you’ll hear the track “888 Lionsgate” featuring Cig Burna. Check out her music at alyxandrijupiter.com and alyxandrijupitermusic.bandcamp.com.